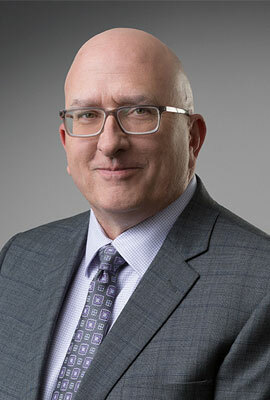 David Shevsky was named chief operating officer of auto finance in the spring of 2018. In this newly-created role, Shevsky oversees consumer risk and operations, commercial risk and credit administration, collections and loss mitigation activities, and business systems. Previously, Shevsky was chief risk officer for Ally since 2015, and had responsibility for the company's independent risk management function. Shevsky joined Ally Financial in 1986 with a series of positions supporting the auto finance operation from a credit risk perspective. During his career, he supported both the domestic and international auto finance operations. In 2004, he became a senior vice president of enterprise risk for the company. When the company became a stand-alone company in 2006, he played a key role in establishing a more robust risk management function, and when Ally became a bank holding company in 2008, he was responsible for establishing a loan review function, which he did until becoming the chief risk officer for Ally Bank in 2011. Prior to joining Ally, Shevsky served in the United States Air Force from 1979 until 1984. Shevsky holds a bachelor's degree from Wayne State University and a master's degree from Walsh College. Shevsky is the executive leader for Ally’s Veterans Employee Resource Group, which is focused on supporting veterans in the workplace, and has been a frequent supporter of cancer research and wellness initiatives at both Indiana University and the University of Michigan since his remission from cancer over 18 years ago. Shevsky and his family are also involved in the homeless outreach program at St. Matthew’s Church in Charlotte.